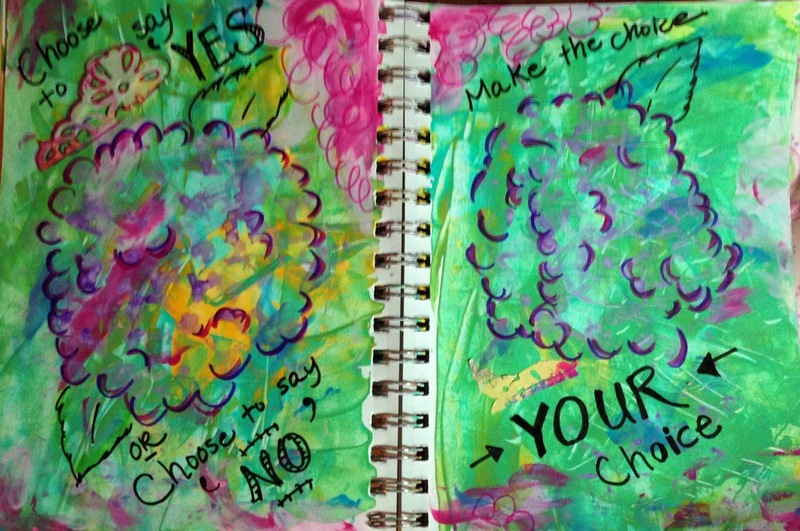 Sometimes I say “Yes…” when I want to say “NO!” I’m guessing I’m not alone in this. Today my self care included saying no to the alarm, yes to my pillows, no to moving fast and yes to taking things at my own pace. I said no to the car. Yes to the kitchen. Generally I did what felt right. I cleaned because I wanted more order rather than cleaning up because it is messy. Attitude is a game changer. So I choose to pay more attention to what I really want to say and practice saying it. Kindly. Creatively. I also plan to practice being more creative with the way I respond. Friday I told a friend that yes, I had time for lunch if it could be half an hour later. Today I tried something similar. The results so far have been really positive. 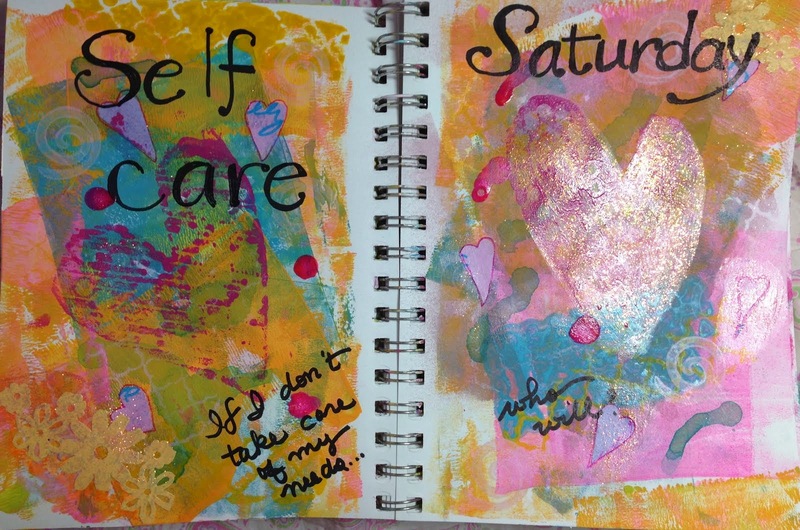 As this art journal page evolved I noticed little buds emerging from the background. They reminded me so much of Tokyo in June. The big patches reminded me of the Ajisai (Hydrangea) that blooms so gorgeously in the rainy season. 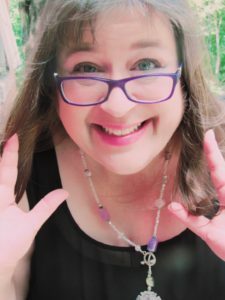 There was a stretch on the Inokashira line where the sides of the train tracks were bursting with the flowers – blue, purple, pink and white. I used to ride back and forth just to see them. Around the same time the azaleas come forth with such loveliness it takes away your breath. I saw both of these flowers in my background. Do you struggle with saying what is in your heart? Do you wish you could say no? Are you true to yourself? How do you balance the greater good with your own good? The pleasure was all mine! Your adventures have expanded my vision and driven me to move beyond my comfort zone. I plan to visit your blog often. And thanks for leaving a comment. It made my day!